North Philly middleweight contender "King" Gabriel Rosado, 21-6-0-1, 13 KOs, returns to a world title fight Saturday night when he faces WBO belt holder Peter "Kid Chocolate" Quillin, 29-0, 21 KOs, at Boardwalk Hall in Atlantic City. The fight is the co-feature to the light heavyweight title fight between Bernard Hopkins and Karo Murat, but most boxing fans figure the middleweight championship fight is likely to steal the show. On paper, the pairing of Rosado and Quillin looks like a winner, with both fighters know for their all-action styles and willingness to exchange. Rosado's first shot at a championship came in January against the top middleweight in the world Gennady Golovkin, but ended in a TKO loss after a bad set of cuts snuffed his chances of bringing home the belt. He rebounded in a high-profile clash with undefeated J'Leon Love, and although most felt he had done enough to take the decision, including dropping the hot prospect in round six, the judges awarded the verdict to Love. That result was ultimately changed to a No Contest, when Love failed his post-fight drug test. Although generally considered the winner in that bout, Rosado fought tentatively during much of the bout, and ultimately blew the opportunity by allowing the judges to seal his fate. Most believe that if Rosado had pressed the fight more, he may have been able to score a stoppage. Rosado agrees. "I think with Love, the mistake I made going into that fight was that I went into that fight (thinking) this kid didn't have no experience," Rosado said. "He had only been in one 10 rounder. (I was thinking) I'm just going to outclass him. So I kind of went into that fight with that mentality. I didn't feel threatened by him. I think sometimes you can fight down to a level when you go into a fight with that mentality. And that was my mistake." Rosado's lapse against Love was part of his maturation process, but it came at a time when it appeared he couldn't afford one. 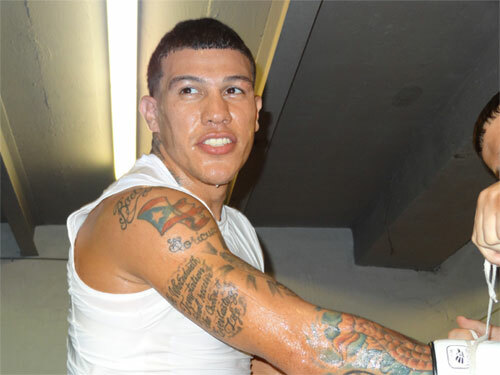 "After the last fight, I kind of had a talk with myself about what I need to do," Rosado said. "I think I had to refocus and figure out, do I want to be an entertaining fighter or do I want to be a world champion? I changed a lot of little things that make a big difference in the fight. (Things like) going straight home, resting. Not wasting unnecessary energy. I'm just going straight home (after the gym), and I think that makes a big difference." Much has been made of the six losses on Rosado's pro record. Some can't believe that he managed to land a second title shot with such a collection of defeats. But his latest opportunity is a testament to his drawing power as an attraction. Rosado is a rugged pro who has learned on the job, after a rather brief amateur run. He has grown as a professional by fighting tough fights against quality opposition. So in this day and age when spotless records are generally considered the only measurement of a fighter's quality, Gabriel is the exception to the rule for title challengers. He earned his fight against Quillin, despite his bumpy record, just like the excellent fighters of the past, when fighters were judged by more than just their records. "I definitely feel I have the better experience," Rosado said. "He (Quillin) doesn't have a big amateur background. So he relies on what he's done as a pro. And if you look at what we both have done as pros, I think that I've fought the better competition. I feel like, at the end of the day, I feel like once me and him are in the ring, it just going to be who fights the smarter fight. I feel like I got the better tools going into this fight." Peter Quillin is a big, strong, and game champion. He fights hard and posses an excellent set of boxing skills. He scored eleven knockdowns in his last three fights. Winky Wright went down once and lost by decision. Hassan N'Dam lasted 12 rounds against Quillin, but hit the canvas six times, en route to losing his title. In his most recent bout, Quillin dropped Fernando Guerrero four times, to win his first title defense by TKO in round seven. When Quillin fights, there are usually fireworks. "I think Winky Wright was past his prime," Rosado said. "N'Dam, no one really knows about N'Dam. And I think Guerrero was just too small. I'm just saying. If it does become a war, I'm ready for that. I prepare myself mentally for however the fight plays out. So I'm ready for that if it's a war. But I feel I will give Kid a different look." 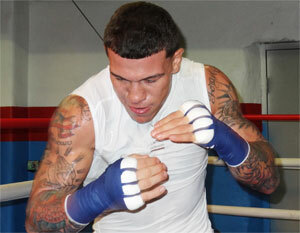 At his best, Rosado is an aggressive pressure fighter who is capable of breaking down opponents and imposing his will. However, occasionally that more passive Rosado checks into certain fights and complicates the beautiful simplicity of the more assertive Rosado wrecking machine. If the latter shows up on Saturday, it might be a long night for Philly boxing fans. 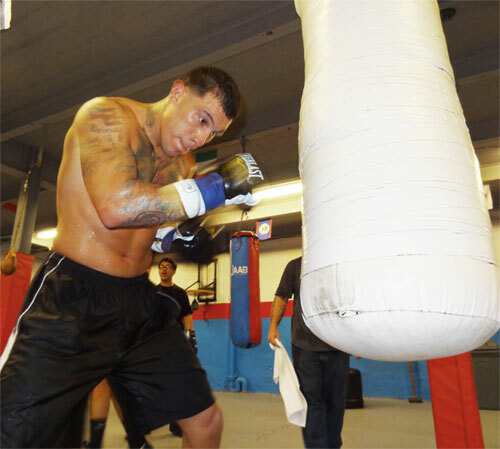 "I think I'm at my best when I apply pressure and fight with a high work rate," Rosado said. "And I'm in shape to fight that way for 12 rounds. It's going to be an entertaining fight. There is a lot of pride in it. We both know each other. He wants to defend his title, I want to take it. I think it's just whoever fights the smarter fight wins the fight." "Kid Chocolate's no slouch by any stretch of the imagination," said Billy Briscoe, trainer of Rosado. "He's punching like a mule. 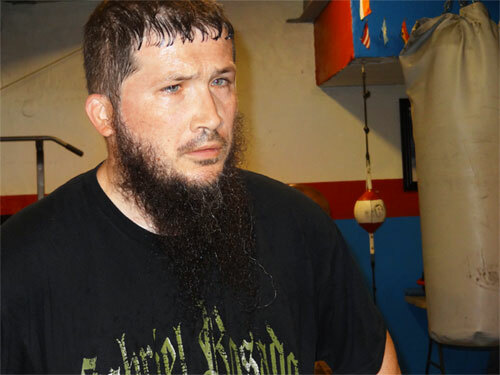 But at the end of the day, in Gaby's first fight at middleweight, he had to cut his teeth against the most feared middleweight in the world, in Triple G."
Briscoe has trained Rosado since the very first day the fighter walked into a Philly gym. Billy saw something in the young boxer, and the two have been together ever since. Together they have traveled a hard and long road, filled with ups and downs. However, Rosado has improved and grown throughout the trip. "Experience is what builds character, Briscoe said. "And Gaby deals with adversity better than most. You know, like the saying says, Adversity is like a flame. It melts the weak and tempers the strong. Well he ain't melted, so he got to be strong. It gave him the ability to realize he belongs on this level. There's no doubt about it." Both Rosado and his colorful trainer are counting on the fact that all their tough experience will finally pay off in a big way on Saturday. They have come quite far already - two world title shots in less than a year - but they are not yet where they want to be. There is a big difference between being a popular and proven professional fighter and being a world champion. 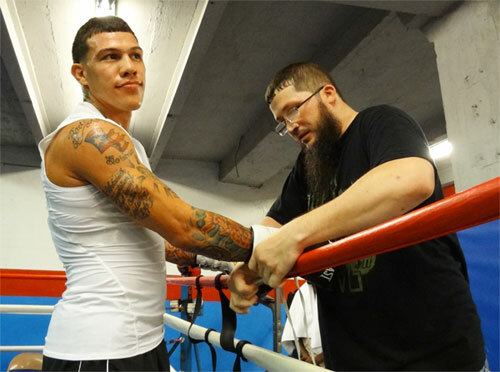 Rosado and Briscoe have worked hard to achieve their goal, and find themselves just one victory from it. Both feel that Saturday will be the night it happens. "Gaby's already been to the big dance, he's already been there," Briscoe said. "This ain't his first rodeo. He knows what it takes on that stage, on that level. He's prepared. He's always trained hard. He's never cheated himself in the gym. He's always done what he's supposed to do, but his mind turned a corner now. He's got that veteran mindset now. He knows what he has to do in order to be successful at this level." "I think at the end of the day, what's going to make the difference in the fight is where I'm at mentally right now," Rosado said. "I think that's the difference. I've grown. I've matured." Rosado also has the added inspiration of fighting on the same card as his mentor, Bernard Hopkins. Rosado will fight for the title immediately before Hopkins defends his crown. It is an unlikely situation, that just might be a good omen for Team Rosado. "It's the perfect scenario," Rosado said of the Philly-stacked fight card. "I always dreamed about fighting on a card with Bernard. So the fact that it's for a title is crazy. Hollywood couldn't have made a better picture. It's crazy." "Bernard's been Gaby's mentor since the Joe Calzaghe fight," Briscoe said. "Bernard took a liking to him and took him under his wing. He imparted information on him, things that take a lot of years to learn. They say a smart man learns from his mistakes, a wise man learns from the mistakes of others. Well Bernard told him about a few things on the business end, and how to watch to be sure he isn't taken advantage. He taught him a whole lot of things about the fine art and craft of boxing. The finer points of the arts and science, and he reinforced some of the things I said." Rosado is also fighting for the title close to home. With both he and Hopkins on the card, the crowd should be solidly in Rosado's favor. The Philadelphian is undefeated in Atlantic City, and Gaby hopes to keep that streak going. 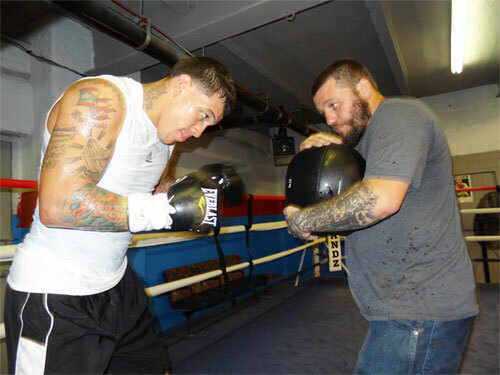 Omens aside, Rosado will still have to deliver in the ring in what figures to be a very serious challenge. However, Rosado seems to understand that the opportunity against Kid Chocolate is one that he cannot sleep on. He has to be the best Rosado he can possibly be, smart, aggressive, durable, and not the least bit passive. 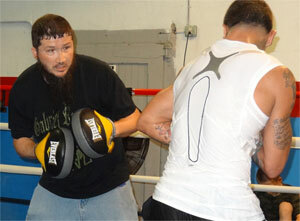 "Me and Billy are training to win by knockout," Rosado said. "With Kid, I know this guy's going to come in and he's going to do whatever it takes to stay with his title. So, I'm going in with a killer mentality for this fight. I'm going to fight a lot harder than ever before. I'm going for the kill."